The Lodge is clean, clean, clean! Beds are comfortable. Temperature was nice and warm. We had the double room with en-suite. Clean and tidy with great bedding and towels. Value for money. I was really impressed by this place. It has great facilities, it is well kept and clean and the owner is awesome!! They went out of their way to accommodate me. Honestly the best hostel I have ever been to, great place plenty of information, very helpfull friendly and informative. I had an amazing experience here and highly recommend it. It was also amazing value for money. I look forward to my next stop over here. Great spot for doing the pass. Just stayed the one night, and they had some water and got a shuttle as I got in to town too late to buy any. Rooms were solid, only saw one outlet per room so another would have helped. Large tv room and eating area were nice, but the rooms were pretty loud. A person on the phone upstairs just travelled through the walls, but everyone is on the same page to go to bed at a decent hour and get up early for the hike. Selling some TP for the hike would've helped too! 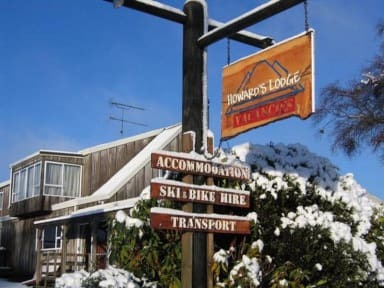 Best stay for day hikes..
Really recommend this hostel if you are planning the tongariro crossing. Great location and short shuttle ride to the beginning of the hike. The hostel offers a shuttle bus and great advice. Really friendly staff. Cooking facilities maybe arent the best but still really good for that price. WiFi wasnt great but not an issue for a short stay. Great location if you want to do any hiking in Tongariro. Rooms are clean and the kitchen has all the necessities. Private rooms have space heaters which are nice when the temperatures drop at night. Nice hostel. Double private room was good. Showers and toilets clean and nice hot water. Kitchen was small and hard to find all equipment as it wasn’t all put away in the same place. Nice chill out lounge and pool table. Overall good hostel. 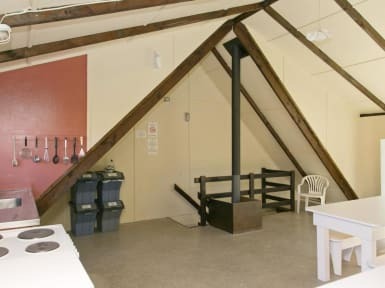 Bad beds, instable bunk bed, very noisy rooms, dirty kitchen. 3p room was way too small. No lockers. Only suitable for a one night stay.